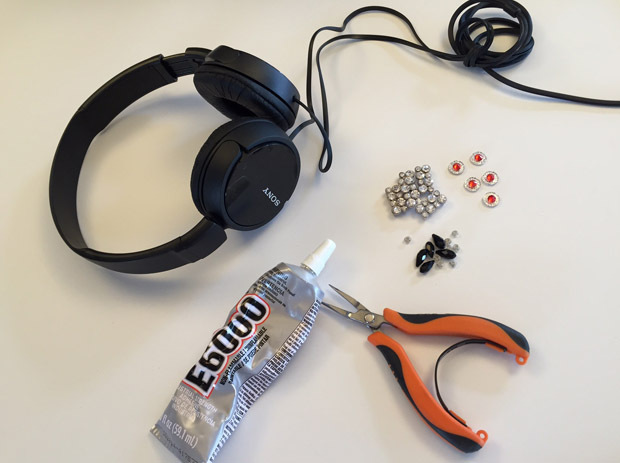 1) Put some glue on a piece of paper. 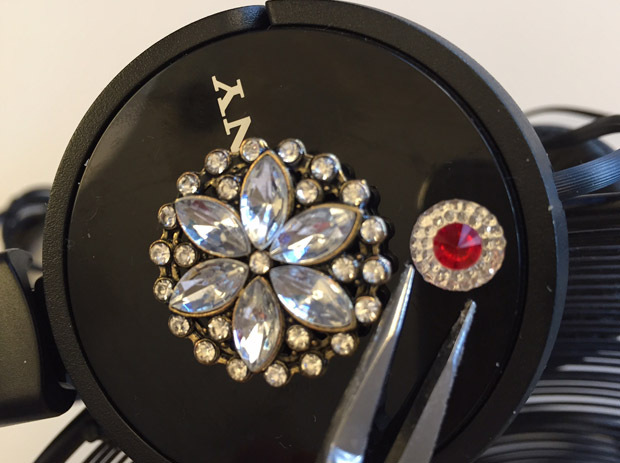 2) Start from the center working out with your design and dab a little bit of glue on the rhinestone and put in place. 3) Build the pattern all the way around. 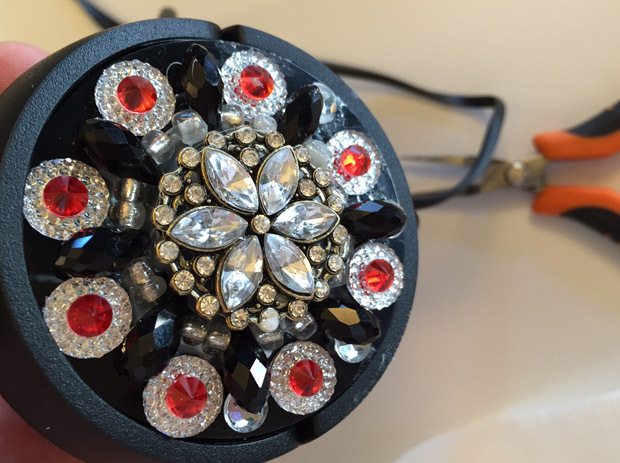 4) Be creative and add as many or as little rhinestones as you like. There you have it! 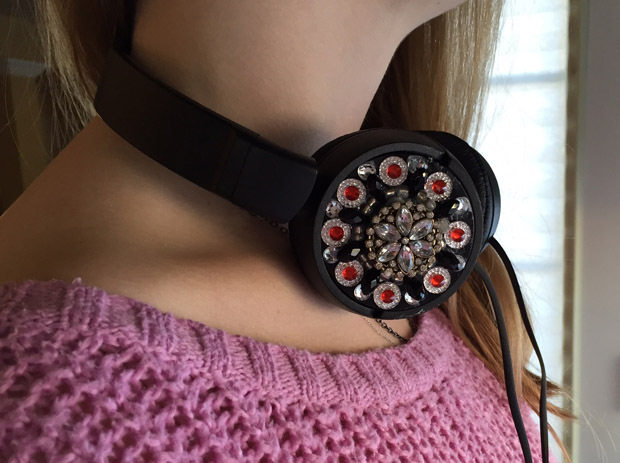 Custom, one of a kind headphones.